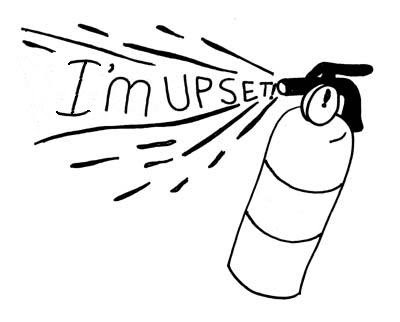 About a month ago, I was proofreading a document about a poor little fire extinguisher that must have been going through a certain amount of angst. As part of a list of instructions, the document said to "hear" the fire extinguisher. I wrote in a correction to change "hear" to "heat" and then passed the document on. Well, the document came back to me this week. The poor little fire extinguisher must still be having a really hard time... now the instructions say to "heart" it. 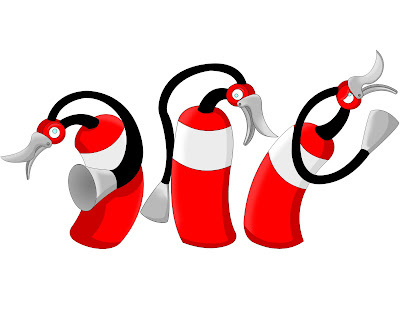 Fire extinguishers must undergo a set of tests, including "heat" and crush tests, in order to demonstrate that they meet their industry's standards. Imagine the perplexed look on some manufacturer's team of testers when they read that they must devise a test to demonstate their company's fire extinguisher can "hear" or that it has "heart". I'm guessing it will be similar to the look on my face when I was "assembling" some of your Christmas and Birthday presents back in the days when you thought you wanted to be a 'Farmer' when you grew up! The next thing they need to work on is how to "heal" the fire extinguisher, so it can move on.